Of course the quickest resolution is to find out how much arrearage is owed and pay it in full. By state law the homeowner has the right to re-instate before the foreclosure and banks are required to accept the full re-instatement and stop the foreclosure. Therefore, it is worth considering every possible source of capital available–selling off other assets or asking family or friends for a loan to cover the arrearage. A foreclosure workout is any arrangement negotiated with a creditor outside the original terms of the loan. These arrangements are agreed upon through loss mitigation programs which were established by the federal government and the mortgage industry in order to resolve home foreclosures. They help people in default on their mortgages to find alternatives to foreclosure. Every homeowner’s situation is unique and each lender has their own policies regarding the use of these programs to resolve foreclosure. Mortgage Modification: In simple terms, the creditor, usually a bank, agrees to change the terms of the loan. If it is possible to make regular payments now, but not possible to catch-up the past due amount, the lender might agree to modify the mortgage. One resolution is to add the past due amount into the existing loan, financing it over a long term. Modification might also be feasible if it is no longer possible to make payments at the former level. The lender can modify the mortgage to extend the length of the loan (or take other steps to reduce the payments). Most often the changes are temporary. The changes most acceptable to creditors are reducing the interest rate, principal portions of payments, or extending the amortization in an effort to reduce overall payment obligations. Unless the delinquency remains small this can be a tough plan to get through the creditor’s guidelines. Repayment Plan: The debtor pays a portion of the arrearage and agrees to pay the rest in addition to the regular payment over a period of months. With proof of income and the proper down payment, most lenders will accept this type of plan. Expect half of the arrearage plus its legal fees get paid up front with a promise to pay the rest of the arrearage in addition to the regular payment within six months. Plans with less down and/or paid over a longer period of time can be negotiated, but are more difficult to get the bank to accept. Repayment plans only work well if your financial set back is temporary because it requires you to have money, just not all of it. This option requires that you are back to the point where you can pay your mortgage and then some. Unfortunately, lenders will not automatically set up a program to bring deficient loans up-to-date. The homeowner must put the plan into motion and provide the lender with the documentation they require to analyze your financial situation. Although lenders do not want to foreclose, they do want to make sure whatever plan to bring accounts current is followed through on. Special Forbearance FHA loans (Type I & II), HUD, and GRH: If you have incurred short term financial hardship and your loan is at least 90 days past due, the loss mitigation specialist will also consider submitting a request for a special forbearance. A special forbearance is designed to provide you with more relief than is possible with a regular repayment plan. Typical approval can result in spreading the repayment over a period of months that is agreeable to the lender. Type II – can be utilized in an unemployment situation when there is a promise of future employment. Partial Claim (FHA mortgages and some Freddie Mac Investor loans): You may be eligible if your loan is at least 120 days past due. A partial claim results in placing your past due payments into a subordinate mortgage (2nd mortgage) between you and the Secretary of Housing Urban Development. The partial claim note will require you to increase your payment beyond your original mortgage amount. There is no interest. The partial claim can be for no more than 12 months of past due payments. For FHA Loans: The lender might be able to help you receive a one-time payment from the FHA Insurance fund. The loan must be at least 4 months behind, but no more than 12 months past due and you must prove the ability to begin making full mortgage payments. The FHA requires a signed promissory note which allows HUD to place a lien on the property for the amount received from the fund. This note is interest free and must be paid simultaneously with your original mortgage. It becomes due when the loan is paid off or when the property is sold. For VA Loans: VA Regional Loan Centers offer financial counseling that’s designed to help avoid foreclosure. Call 1-800-827-1000 and ask for the phone number of the Loan Service Representative in your area. Contact a HUD-Approved Counselor: If you don’t want to talk with your lender first, contact a HUD-approved counseling agency. A counselor can help determine which options might be available and negotiate with your lender to work out a repayment program. You can find an approved agency on the Web. 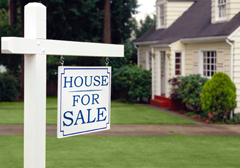 Short sales can be a great method of debt relief, but is it does involve selling your house. It is important to work with an experienced investor and real estate agent if you choose to pursue this option. Some investors are willing to buy the house on a short sale and lease it back to you with an option to buy in the future, giving you time to repair your credit. We specialize in short sales. A short sale is the process of showing a lender why they should accept less than what they are owed on the home. Lenders will do this to avoid attorney fees and other costs involved in the foreclosure process. They also can collect their money months sooner and don’t run the risk of getting the property back, which looks bad on their financial statements. Short sales can be especially helpful if you owe close to or more than what the home is worth. If a property is heavily leveraged and behind on a few payments, the fees a bank tacks on can reduce your equity very quickly. A detailed packet must be submitted to the lender showing them that the borrower has no way to pay the mortgage and the fees from being late. Once someone has missed a payment the loan is written off as a bad loan. The bank will usually take a significant discount just get rid of “non performing loans“. A short sale is the banks form of writing off their loss and taking what they can get so they can lend that money out again. A short sale is not good for your credit but it is much better than a foreclosure on your record. Short sales can also postpone the auction date as the lender analyzes the offer.They allow the borrower to get free from their debt and move on. In addition, the home owners can sometimes stay in the house if they do a lease option with the investor. A lease option can be one of the best solutions if you want to stay in the property. Find an investor, family member, or acquaintance that will buy the property from you and then lease it back to you with the option to buy. The great thing about this option is that it is possible whether you have equity or not. But the more equity you have the less risk the buyer will have. If you don’t have equity you can sell the property using a short sale. If you don’t have equity sell the property using a short sale. The person buying the property will lease the property back to you for their cost plus a little extra so they can make a profit. Then they will sell the property back to you at slightly above the price they bought it for once you have been able to repair your credit and get your own financing. The person buying the property will be taking on a significant amount of risk and therefore will need to make a profit. It wouldn’t make sense for them to do so if they didn’t. Still, lease options are a good option because they will relieve any debt, save your credit, and give the opportunity to stay in your house. If you choose to pursue a lease option, it is important to work with a mortgage broker during the lease period to rebuild your credit so you can repurchase the home back within the option period. For more information on how lease options work Click Here. Selling is often the best option, unless your financial set back is very temporary or you can restructure your debt to get lower payments. It can be very difficult to move on from a house when you have been there for awhile but under most circumstances is can be the best long term resolution. Selling a house involves many costs (real estate commission, closing costs, possible prepayment penalties, etc). This option may be difficult if you have little or no equity. In that case a short sales is your best option. To sell the property quickly and for fair market value, a real estate agent is truly necessary which means you cannot be 95–100% leveraged. You’ll need 5–6% of your sales price to pay the real estate commissions. You can also sell the house by owner but that almost always takes longer and once you have a deal it is more likely to fall apart before closing. Regardless, there is the danger that the property won’t sell before the auction date. Tell your lender that you are trying to sell the property to pay off the loan. Many times they will delay the auction if you get a contract on the house. Remember the lender really doesn’t want to get the house back; they just want to get paid. If you decide to list with a realtor be honest about your situation. A homeowner’s situation is very important for a Realtor to price the home. Some people can afford to wait three months or more to sell their house and will price it at the highest value possible. When one is behind they don’t have that luxury and should consider pricing the home below market value for a quicker sale. If your financial set back is temporary some sort of refinance could help you get back on the right track. Remember that refinancing is increasing your debt so if your situation isn’t temporary then this is not a good option. 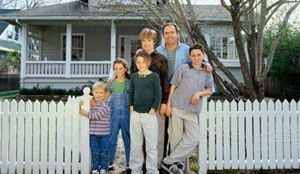 A refinance will require the borrower to have a significant amount of equity. Also because your credit has been hit with late payments your interest rate will not be as good. You might have to consider a private lender because there is a better chance they will loan more on the value of the property rather than the appearance of someone’s credit score. In foreclosure situations, credit is likely damaged beyond traditional refinance methods and it is unlikely the interest rate will be appealing. Predatory lenders often target people in financial distress and try to panic people into accepting high cost mortgages with high interest rates, high broker fees, unnecessary costs like pre–paid life insurance, and unaffordable repayment terms. The wrong private lender will only make financial problems worse and increase the risk of losing your home. Avoid lenders who encourage borrowing more than is needed. 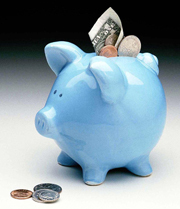 Filing bankruptcy will buy you extra time, but this isn’t always the best thing. The foreclosure sale will be postponed until the bankruptcy is discharged or, with a chapter 13, a “relief from stay” has been filed. However, make sure you understand the implications of your decision. Consult a qualified attorney. Filing chapter 7 bankruptcy will allow you to retain ownership of the house by restructuring debt. Bankruptcy can remain on credit scores for as long as 10 years though. If the foreclosure is stayed by bankruptcy, the trustee may give an amended notice of sale and sell the property with only 20 days notice as soon a chapter 13 bankruptcy stay is lifted. Filing for Chapter 7 or Chapter 13 bankruptcy protection sometimes paves the best path for debtors to retain their houses and deal with their creditors. Advantages of bankruptcy include the debtor’s ability to stop foreclosure without creditor acceptance and encompassing more than just the mortgage debt with a single action. In most cases bankruptcy comes as a last resort. While you may file bankruptcy on your own, you will almost always be better served to hire a qualified, experienced bankruptcy attorney. In Chapter 7 all nonexempt assets are turned over to the bankruptcy trustee and debts discharged. Exemptions vary by state. In many cases the debtors possess so few assets that they may keep everything and have all of their debts wiped out completely. If a chapter 7 will not yield this result it may not be the best option. In Chapter 13, a plan is created that outlines how the debtor will pay creditors over a three to five year period. Only a Chapter 13 can stop a creditor from foreclosing on a delinquent debtor over a period of years. Under a chapter 13 the court retains the right to scrutinize finances of the debtor for the life of the reorganization plan. Payments under a Chapter 13 plan must be kept up or the court protection will evaporate and the house will go to foreclosure. A deed in lieu of foreclosure is simply giving the property back to the bank in return for avoiding foreclosure. Too often people refuse to examine this as an option. The problem may be that the homeowner cannot afford to stay where they are. If the debtor will not be able to keep the house in the long run it may not be advisable to throw a lot of money into a futile effort to save it from foreclosure just for the short run. Any cash available may serve better if put towards a new place to live. If you owe more than the house is worth, a deed in lieu of foreclosure is another option along with a short sale. In giving back the deed in lieu of foreclosure, seek to negotiate relief from all or most of the deficiency balance you owe to the lender. A deed in lieu does have a negative impact on your credit record, but not as much as a foreclosure. If you are approved for a deed in-lieu, you will be giving up all rights to the property and the property will be deeded to your lender. In exchange for the deed-in-lieu, the lender may release you from the obligation to repay your mortgage and waiver all deficiency judgment rights. The bank does have the right to charge you the deficiency (difference between house’s worth and amount owed plus arrearage and legal fees), so if a lender accepts a deed in lieu of foreclosure, make sure you know what you are agreeing to. There can be tax consequences of a deed in lieu transaction. A qualified tax professional should be consulted to determine the impact this may have in your case. 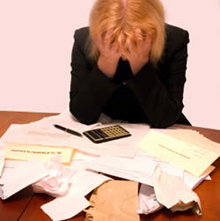 You have experienced a long term financial hardship that has not been resolved. Your house has been for sale (at fair market value) for at least 90 days. The house is broom clean and well maintained. Lenders are more receptive to a Deed in Lieu proposal when still in the early phase of a foreclosure proceeding. If it is in the later stages, a short sale is probably a better option. The easy thing to do is nothing at all. The bank will file a notice of default and the property will be sold at auction or taken back by the lender. After the sale the occupants will have 10 days to vacate. Foreclosure goes on the credit record. How long will that black mark stay on your credit record? Federal law (Fair Credit Reporting Act) requires that any negative remarks be removed upon request after 7 years (except for bankruptcy filing). Without asking, however, it won’t go away. Foreclosure is the worst thing someone can have on their credit report.